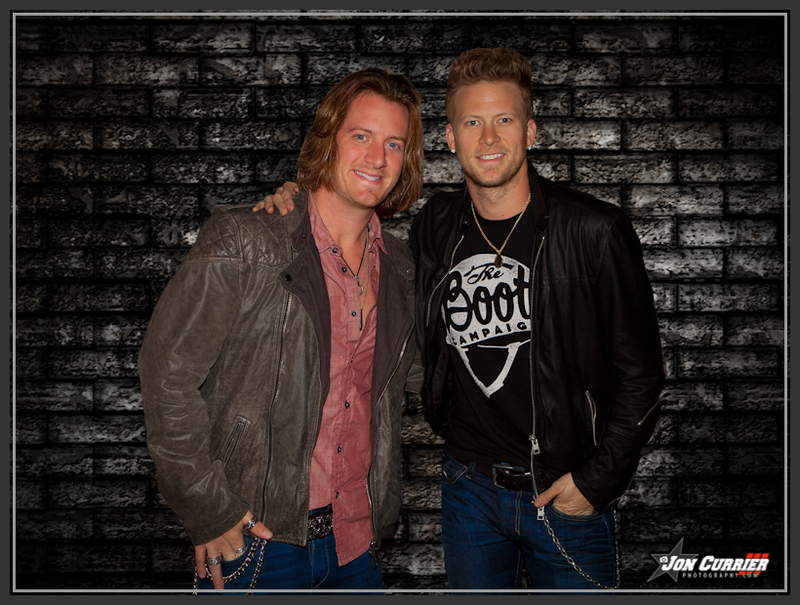 Country Newcomers Florida Georgia Line, comprised of Brian Kelley and Tyler Hubbard, has been rockin’ country radio with their debut single “Cruise”. The Top 20 hit single is cruising its way up the country radio charts, and has already sold over 500,000 copies. 99.5 The Wolf and Duke’s Bar & Grill brought in Florida Georgia Line to headline a “low-dough” show, benefiting the Doernbecher Children’s Hospital, on Monday, October 1. Brian & Tyler kicked the evening off with their EP titled single, “It’z Just What We Do,” and immediately set the tone indicating that a fun night was ahead. Fans tipped it back with the band and got their shine on, as Brian & Tyler rocked the stage with song after song delivering a high energy, rockin’ set. Florida Georgia Line treated fans to two brand new songs that will be on their forthcoming album, anticipated for release later this year. Additional songs showcased throughout the evening were “Tip It Back”, “Get Your Shine On”, “Tell Me How You Like It”, and several others. The set also included an impressive montage of songs that incorporated snippets of “Drunk On You”, “In Da Club”, “Hot In Here”, “Barefoot Blue Jean Night” and many others. “Cruise” was a memorable highlight of the evening. As soon as the Tyler & Brian sang the line Baby You A Song, the crowd immediately joined in and sang along from start to finish. Good shows come through town that are enjoyable and fun. Florida Georgia Line delivered a GREAT show that was a blast, leaving a lasting impression on many. It may have been a Monday Night, but with Brian & Tyler on the stage it was treated like a Friday night. In speaking with some folks after the show, they mentioned that they just finished downloading their EP on their phone, while others said they couldn’t wait to get home to download it. Check out some additional photos from the evening on our Facebook Page by clicking HERE. The energy on Florida Georgia Line’s It’z Just What We Do EP is fantastic, and it is magnified tenfold during their live performance. Pick up your copy now on iTunes by clicking HERE. In addition to their headlining shows, Florida Georgia Line is gearing up to embark on the CMT: Jake Owen Summer Never Ends Tour! To see if they are coming to an area near you click HERE. Keep up with Brian and Tyler by visiting their Official Website, Like them on Facebook and Follow them on Twitter.